Cocoa is in crisis. The world’s cocoa plantations are well beyond their most productive years, and those who produce it are even older. 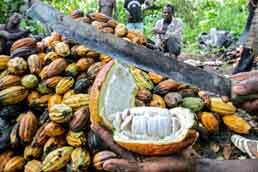 Income from cocoa is so low that young people do not want to become cocoa farmers. And there is climate change.